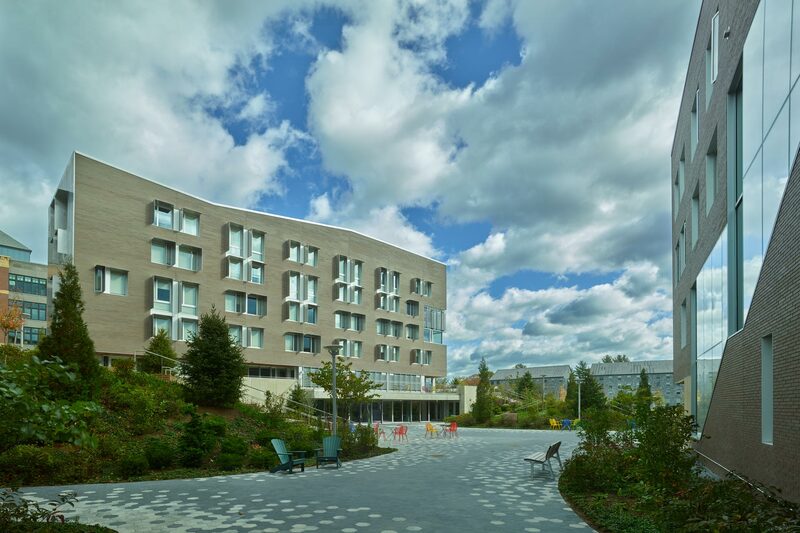 The Greenway Residence Hall project includes four buildings that will house approximately 300 students in a variety of room types. 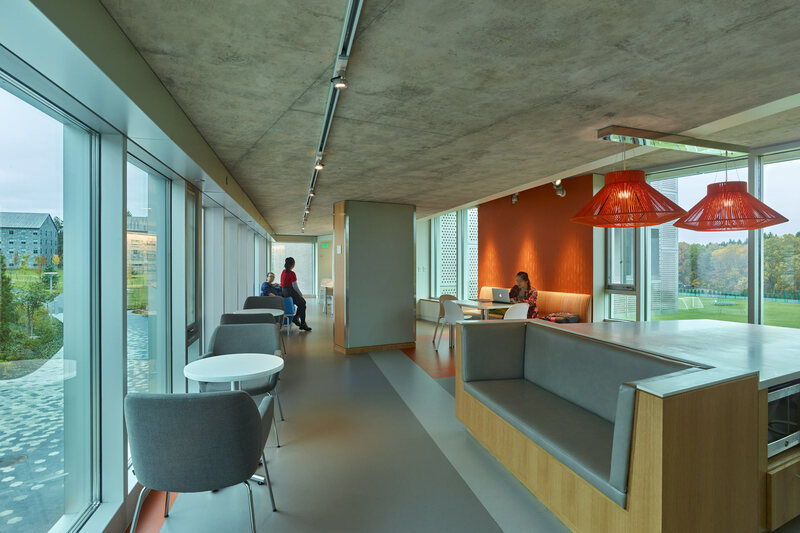 The buildings include two-story study areas, connecting bridges, kitchens, a multi-purpose event space, and seminar/meeting rooms. 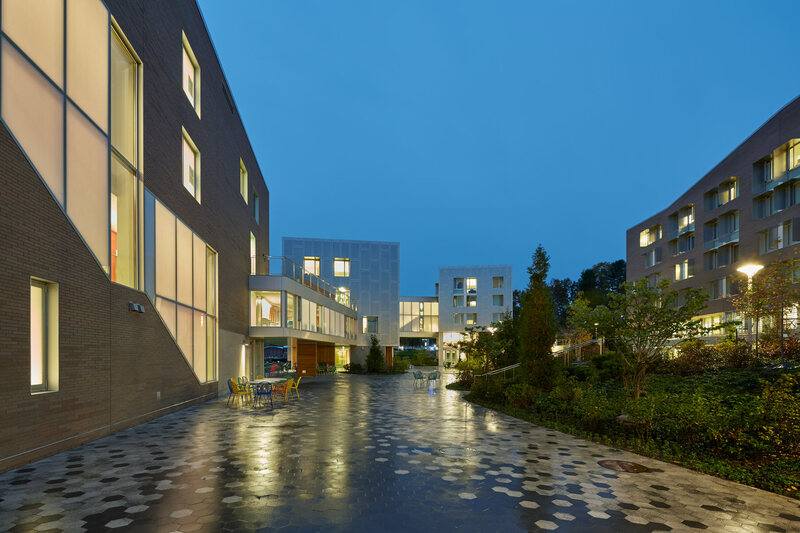 The project placed an emphasis on low-energy design which is visible and tangible to student residents. 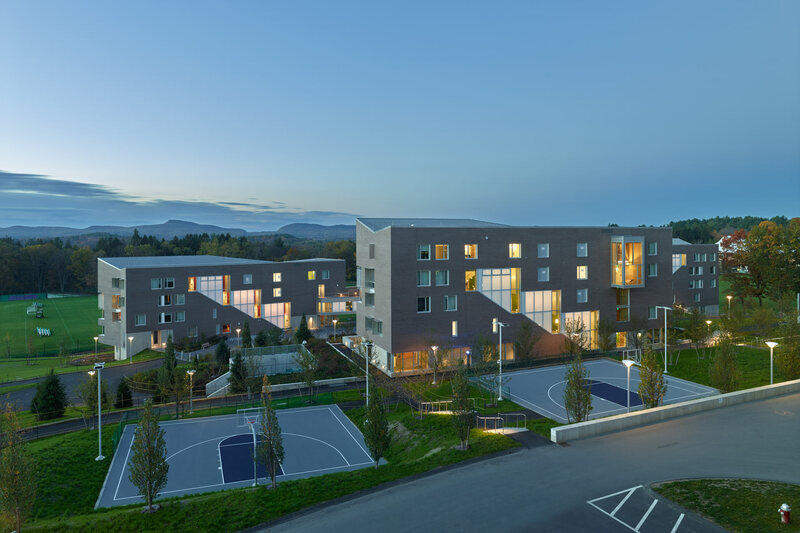 Nearly all dormitory units face south, creating dramatic views to the south while allowing passive solar heat gain, with fixed solar shading optimized to control solar heat gain outside of winter. 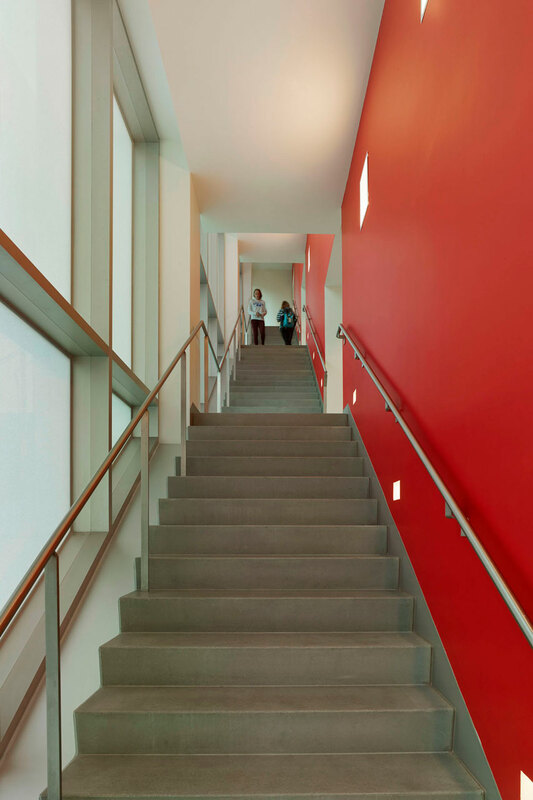 Continuous north-facing stairs encourage the use of stairs rather than elevator and are glazed with diffuse, highly insulated (R-18) glazing that creates an illuminated beacon at night. The stairs also draw natural cross-ventilation through all common areas during the swing seasons. 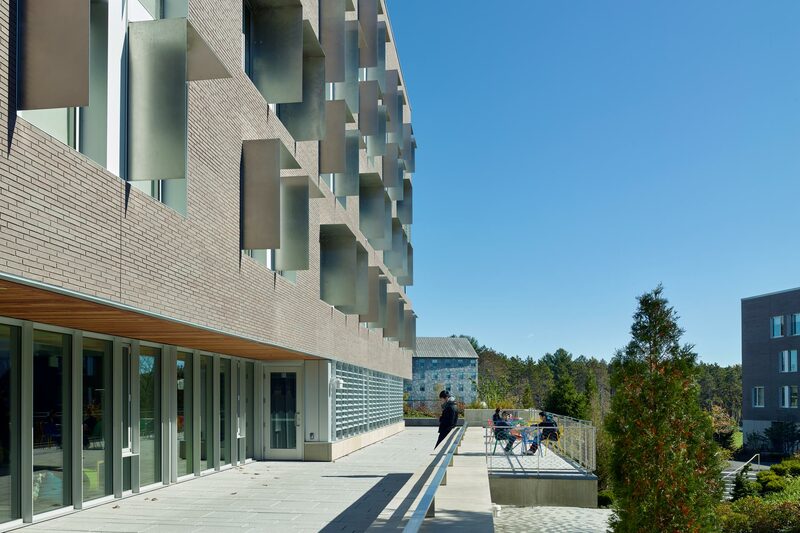 The combination of thermal mass via exposed concrete and operable opaque panels for high natural ventilation rates allow exceptional comfort without heating or cooling for much of the year. Concrete-embedded radiant tubing provides additional heating and cooling during extreme seasons, combined with minimal mechanical ventilation. 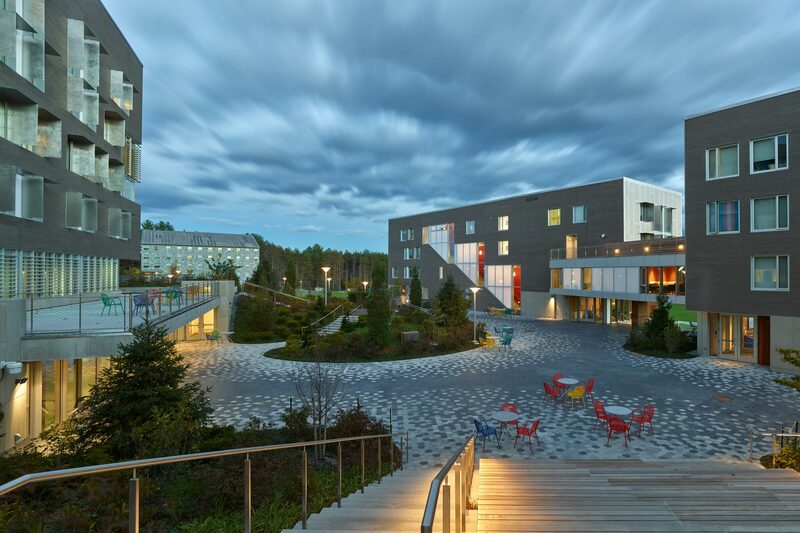 Drain heat recovery on all showers reduced the intense heating energy required for domestic hot water in dormitories. 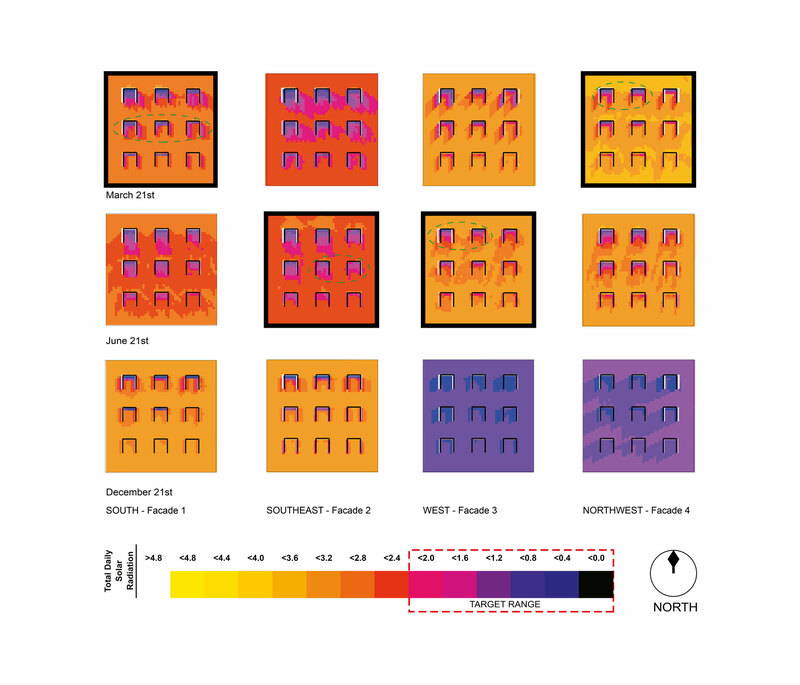 Transsolar developed all passive and active climate concepts for the building including all of the key features described above. 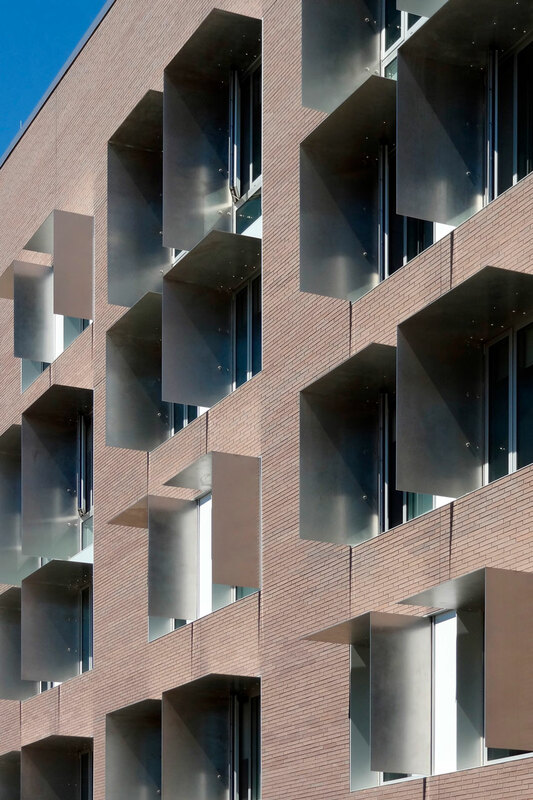 Additional advanced measures such as a so-called ‘active façade’ and outdoor art installations with an abstract display of the building energy use were also explored in detail. The final predicted energy use intensity (EUI) is 35 kBtu/gsf (9.3 kBtu/gsf electricity, 25.5 kBtu/gsf gas).